Durable, lead-free brass is an excellent choice,with all barbs manufactured to highest quality standards and tolerances.Lead-free brass is not more than a weighted average of 0.25% lead when used with respect to the wetted surfaces of pipes,pipe,plumbing fittings and fixtures.Barb fittings can be used with most soft plastic tubing.This barb fitting is easy to use for both contractors and the do-it-yourselfer. 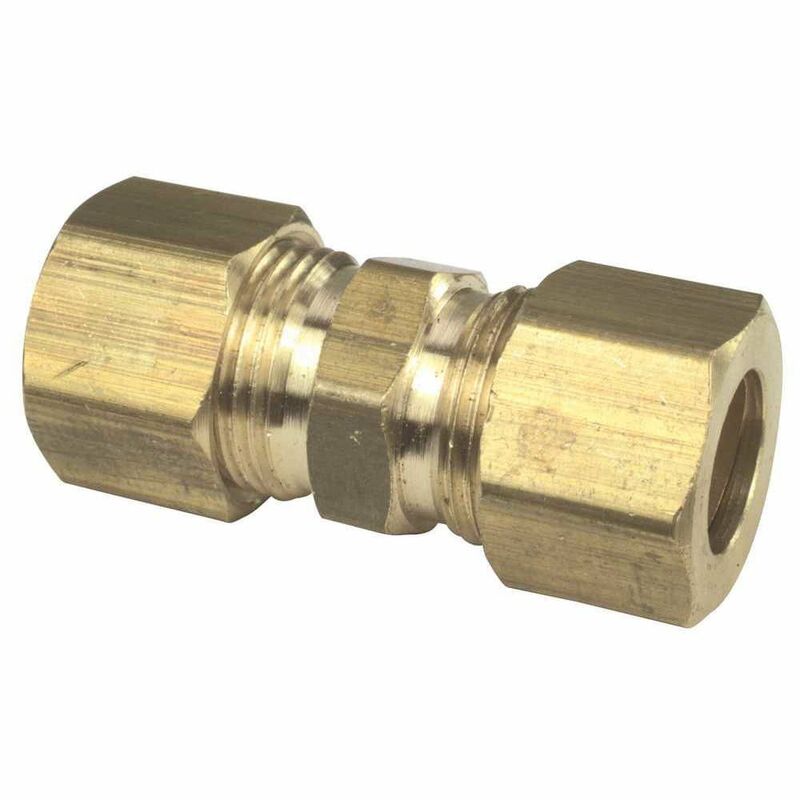 This lead-free brass compression fitting is ideal for use with copper, brass, aluminum, or plastic tubing on gasoline, grease, oil, water, vacuum and air lines. Choosing a lead-free brass compression fitting ensures safety and peace of mind for years to come. It is not recommended for use with steel tubing. Brass Compression Union, 3/8 inch Lead Free 3/8"